When the fishing season is slowly approaching the end, in the form of winter. Anglers are engaged doing the last maintenance work before they put their fishing tackle to well deserved sleep. Of course that is the routine when your gear lasted to the end of season and you were satisfied with how it performed. If one of these criteria`s was not fulfilled I got great news for you my fellow anglers. 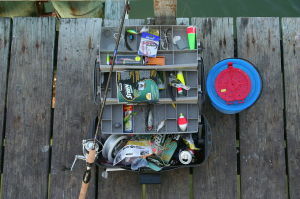 Winter is undoubtedly the most budget-friendly time to prepare yourself with much needed fishing equipment. 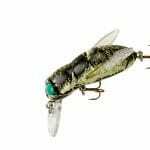 Not only that fishing tackle stores lower the product prices because the demand is smaller than in summer. Furthermore, with Christmas nearby it will certainly add discounts below the normal price. 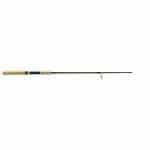 Getting fishing items at half of their original price is the great part of buying your fishing tackle gear at this time of the year. We decided to make the process even easier for by giving out our comprehensive list of best fishing item picks covering everything angler should need when the new season arrives. 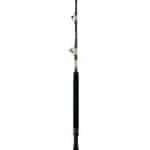 In addition we list the store where your fishing tackle comes cheapest & safest. So what are you waiting for? You don’t want to be the typical angler who waits for autumn just to see that all of the fishing gear prices are doubled. Be the smart one and make all the purchases now at the cheapest time of the year? The choice is yours. There was fierce competition between Ci4+ and Spinfisher V. I have to admit they both serve little bit different purpose, but for the finesse type fishing Shimano is most suitable reel. 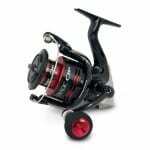 It offers the unique frame which is durable, but at the same time weights up to 25% less than other same sized reels. Numerous gear updates like x-ship technology will make the drag silky-smooth. On top of that it was the most used spinning reel according to the the competitive bass angler answers. When in need for heavy-duty reel that will resist saltwater for years then look no further. Our “Best Tackle Pick!”, The Penn Spinfisher V is the choice for heavy lures & big fish approach. Spinfisher`s sealed water tight design will give saltwater no hope getting inside. 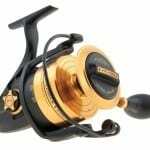 What spinning reel is the online best seller of the year? No doubt, Okuma ABF. Okuma`s magic formula of cheap price and satisfying quality has been finally paid off. 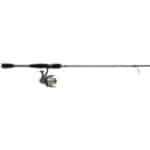 It comes with unique baitfeeding system which adds a whole new experience for a regular spinning reel. Average price around 50 bucks makes this deal no-brainer. We timed the Battle 2 review just right so it could end up in our top list, originally this place was meant to original version of Battle. 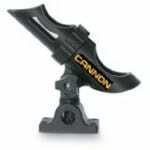 Battle 2 offers great mid-range price and fortunately don`t allow major concessions compared to higher priced products. With second edition Penn has fixed some paint issues and improved overall corrosion resistance, places where first generation model lacked a bit. 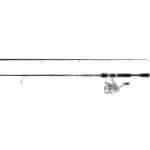 This is the rod which I have used all season long. I like that length starts from 9 feet because this will help to make longer casts, but still transfers all the bumps and bites that happen underwater, up to angler. It is built using corrosion resistant stainless steel with aluminum oxide inserts, so durability will not be problem with this rod. Many anglers are looking for shorter, medium power- fast action rods to maximize the feedback coming beneath the water. Shimano Solora is the great tool for this job. Length averages from 5 to 7 feet. Ultra light weight will keep you fresh even after long day of casting. Great value for around 20$. Combo that offers the most value for the money than any other in tackle market. 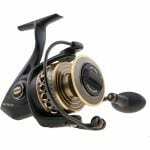 This bargain price spinning reel has 4 bearings + light graphite body. Rod length is meant for medium action and will handle everything that most of the beginners can catch. Right choice for new anglers or gift to someone who is looking to begin fishing. Now newcomers have no excuses for not start angling in upcoming season because this combos price is almost non-existent . 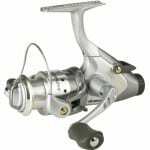 Daiwa D-shock offers multiple benefits despite of lower than bargain price: precision geared reel, graphite body, 3 bearings. Rod covers all the basics: graphite construction, stainless steel guides and reel seat. It seems boring, but yes, Rapala has again taken the most useful lure title. 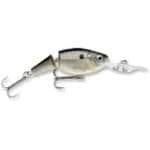 This proven plastic version of Shad Rap is known for nice wounded action. It has been our most used lure all year around, especially the “clown” version at the start of fall. I liked it initially because it offered different game and movements than usual baitfish lure and over-time I found out it actually worked really well too. Great bait for surface use. If bass attacks, it usually does it right away coming just after the splash so better be prepared. 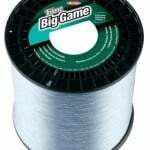 This is the only monofilament I have been using for a long time. The reason is simple, it just does its job and has surprisingly low memory, . Lately it has been more in use for mono backing. It was mentioned in our Accessories of 2017 too. The best in braided line category. 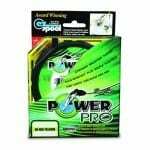 Lack of stretch makes hookups almost automatic, easy to spool, strength – all these make Power Pro the braid line to own. 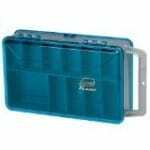 I like this tackle storage box because it offers large and spacious slots, but manages to keep every single piece of fishing tackle nicely accessible. 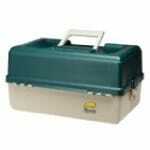 It excels in compactness compared to other big tackle boxes. Main use should be in boats. What is so great about this fishing tackle storage box is that it is double sided which helps to preserve room in backpack. Yet still you can take quite a bit of lures along. Choice for inshore anglers. Cannon can be measured as rod holders Canon. Problem with most of the holders is that they have very weird angle and are not super-reliable which is must nowadays. There have been countless times when big bass has pulled the reel along with first strike just because rod holder did not offer enough of support to avoid it. If you care about your equipment you have to make sure it is firmly fixed in the reliable holder. The way to go when looking to get the most detailed picture of landscape and fish location. 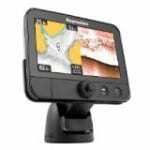 7-inch widescreen display makes monitoring easy and will bring out the most deepest details from the bottom. 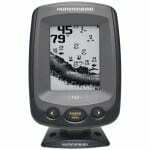 I would say for large majority of anglers this fish finder will take care of all the basics needs. 4″ grayscale display, water temperature. Preserves quality in deeper spots. Simple and right on the money. Top product in our accessories 2017. All-around fishing tackle tool that every fisherman should carry . You never know when you need to cut some line, pull hooks, change rigs or open split rings. 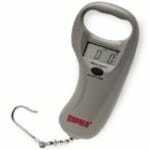 Has large handle which is good when weighing heavier fish. Keeps on working even in a saltwater environment and despite of heavy rains. Bonus: very precise metrics.